M a k e M e G l o w , D a m m i t ! Here's the deal with exfoliation...Its a must. Especially if you're over 25. As we age, our skin becomes drier, less elastic and slowly loses its ability to produce all the wonderful things that keep us looking young. This one, two...ok, three punch, can result in lines and wrinkles. Skin becomes rough in texture, blotchy and dull. Exfoliating the tired, dead cells also speeds up the skin renewal process, allowing new healthy cells to take their place. This process turns your complexion from dull and dry to bright, vibrant, and smooth. In addition, regular exfoliation reduces fine lines and wrinkles and keeps your skin much softer. Don't worry, you'll stop constantly touching it after a month or so. Your fabulous skin will be a given, instead of a "shocker." Serum and moisturizers are better absorbed into skin that’s not blocked by layers of dead cells and dirt. Exfoliating allows your skin to be properly moisturized and healthy! Regular exfoliation will help your makeup go on smoother, more even, and will also allow your sunscreen to better protect your skin. Along with dead cells, exfoliating also removes the dirt, dead skin and oils, stuck deep inside your pores. When pores become clogged, they appear larger, No. Thank. You! 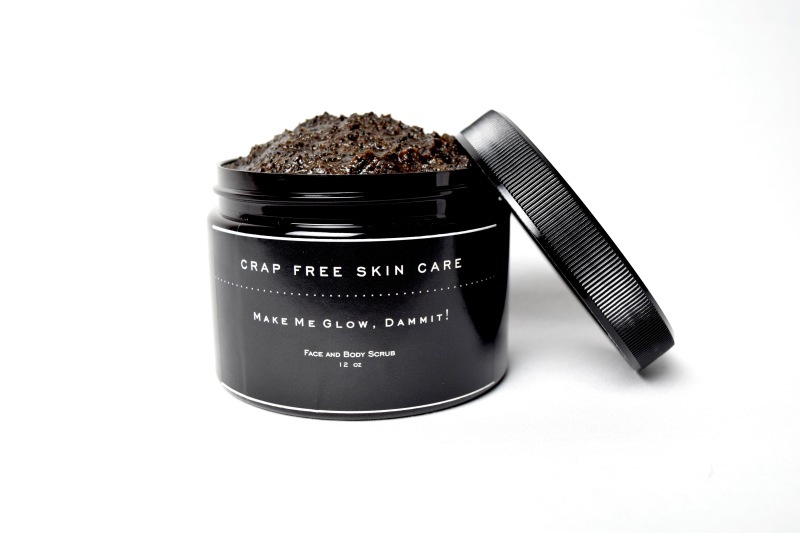 By removing the junk that is stuck, they will diminish in size and give your skin a healthy polished glow, dammit! Directions for use: For best results, use in shower BEFORE washing hair, 1-2 times a week. Wet face and neck with warm water. Scoop out approximately 1 1/2 TBSP and GENTLY massage all over face and neck, in a circular motion for 1-2 minutes. Rinse, leaving residue oils on skin. Gently towel off and follow with your normal, moisturizing, skin care regime.